We love to paint, and I enjoy experimenting with homemade paint recipes. My twin toddlers (20 months) are moving past the age of eating everything they play with. They still taste most things, but at least they don't eat everything by the handful anymore. Since they put everything in their mouths until recently, I have tried many homemade paint recipes in the past year. 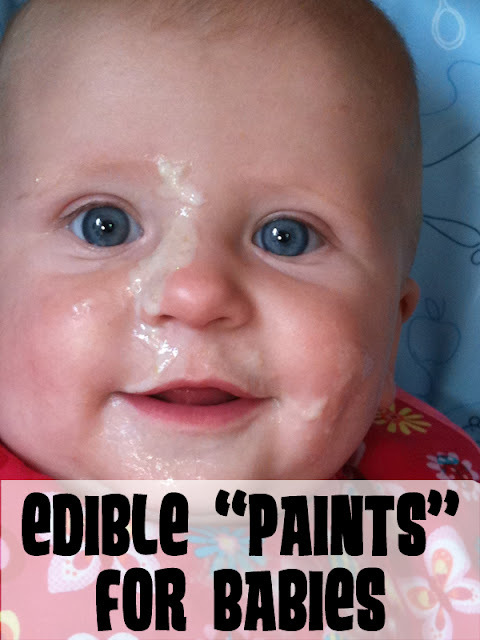 For parents who have toddlers who eat everything I am sharing my twelve favorite recipes for homemade paint safe for babies and toddlers. Please note that while these recipes are all safe to eat not all of them are healthy and should be used in small quantities. Do not leave young children unattended during art time or sensory play. You know your children best, so use your own judgement when choosing materials for art or play. 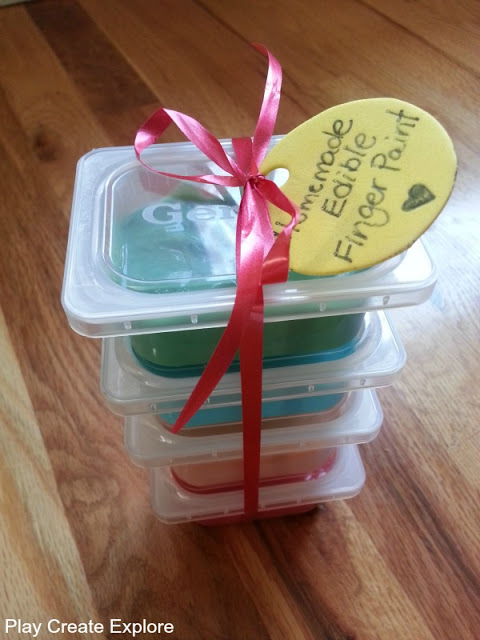 This recipe is my go to for finger painting with all four of my boys, from baby on up through school age. 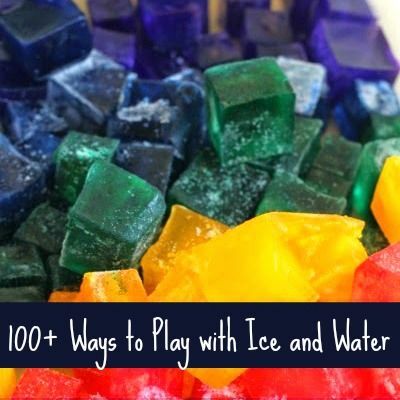 All of the ingredients are common household staples, and they are inexpensive. The recipe itself is simple and takes less than ten minutes to make. Be sure to plan for time to allow the paint to cool before use. Other favorite finger paint recipes include Starburst paint and scented Kool Aid finger paints. This is my favorite recipe for baby paint, because it is made from fruits and vegetables with nothing added. 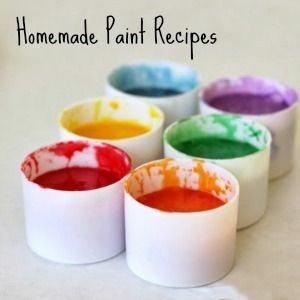 This is the best homemade paint recipe to introduce to babies for their first painting experiences and explorations. Yogurt is my next choice for baby safe paint. Once dairy has been introduced, I like to offer a small amount of plain yogurt on a tray for my little ones to run their fingers through and explore. To add texture and stimulate the sense of smell I like to add dry spices to plain yogurt. Choose spices that compliment each other and that are mild enough for little ones to taste. Tank and Peanut love to explore Yogurt Spice Painting. 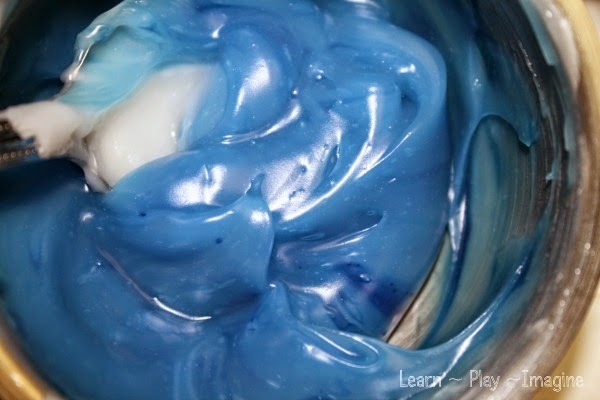 Play Create Explore added one ingredient to yogurt to make the paint colored and scented. 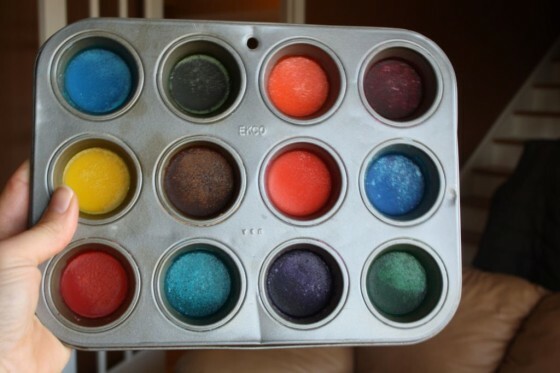 I used this recipe with my twins before they were old enough to squeeze the paint out themselves. My older two boys loved squeezing it out for them. 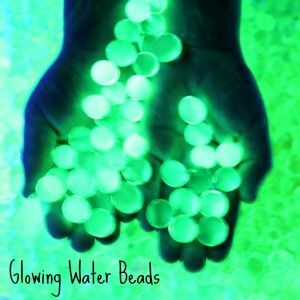 This simple puffy paint recipe is a favorite around here, and we've made it in several variations including with Kool Aid, candy apple scented, candy cane flavored, and chocolate. 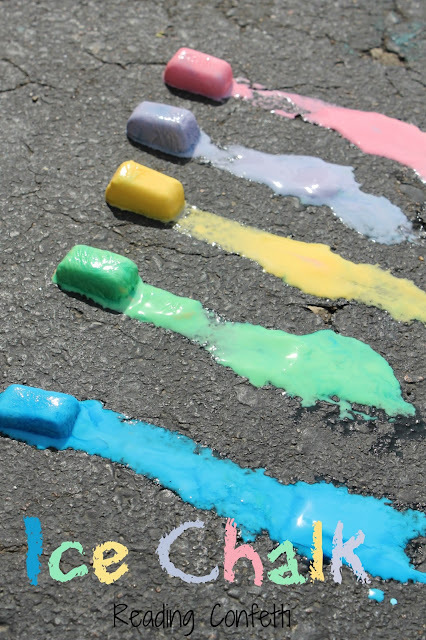 Sidewalk chalk paint is so easy to make! It only takes two ingredients to make the base, and this recipe can be whipped up in less than two minutes. 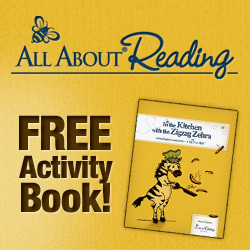 It is safe for older babies to explore, and it is fun for all ages. In addition to the basic sidewalk chalk paint recipe we've also made it scented, erupting, used it to practice the alphabet, and to make apple prints. My friend at Reading Confetti even made a frozen version which would make a wonderful sensory paint experience for children of all ages during the summer. I only recently introduced my toddlers to watercolor paints. 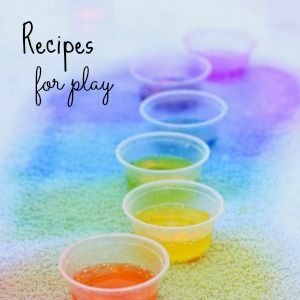 I love that this recipe for homemade watercolors from Happy Hooligans is made up of ingredients that are safe to eat in case one of my little guys decides to do a taste test. 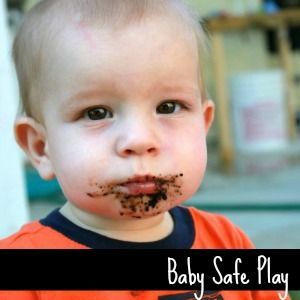 Pudding is another safe food item for babies to smear and explore. To stimulate more senses and let my little ones experiment with color mixing I added one simple element to tapioca pudding to make sensory pudding paint. 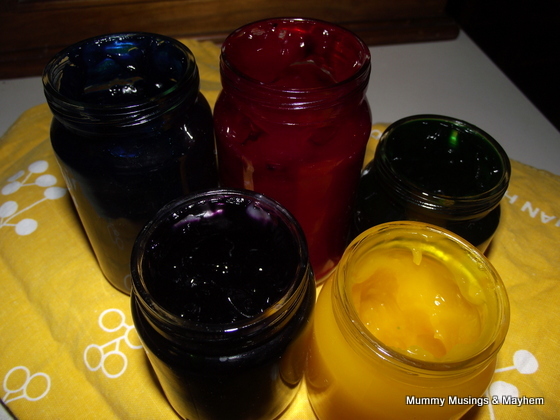 This is another incredibly simple recipe for baby and toddler safe homemade paint. This two ingredient paint recipe is a bit on the sticky side and very messy. 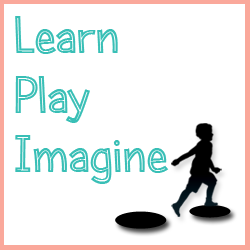 It provides wonderful sensory exploration and artful play. 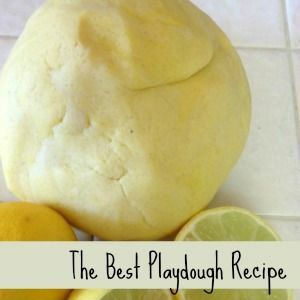 This lovely recipe for cornflour base paint from Mummy Musings and Mayhem only requires two ingredients and can last for up to two weeks if stored properly. I especially love her recommendations for coloring the paint with natural and safe colors. Visit One Perfect Day to read a guest post she wrote with ideas for cornflour paint. This simple to make flour paint recipe is made from common pantry ingredients and can be mixed up in just minutes. 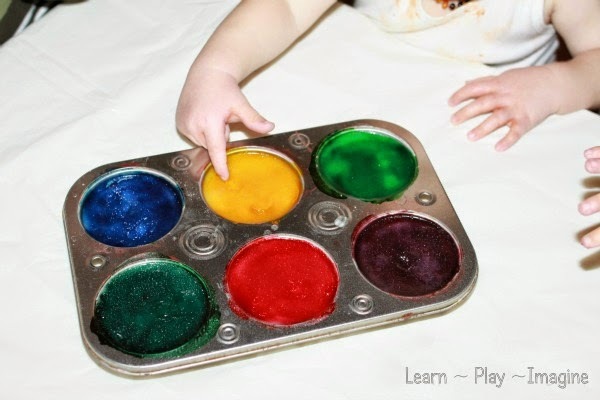 Be sure to use food coloring in place of the liquid watercolors if your little one is likely to taste test the paint. Perfect for the littlest explorers and fun for all ages, making paint with fruit and an edible thickener is a simple and safe way to make paint. 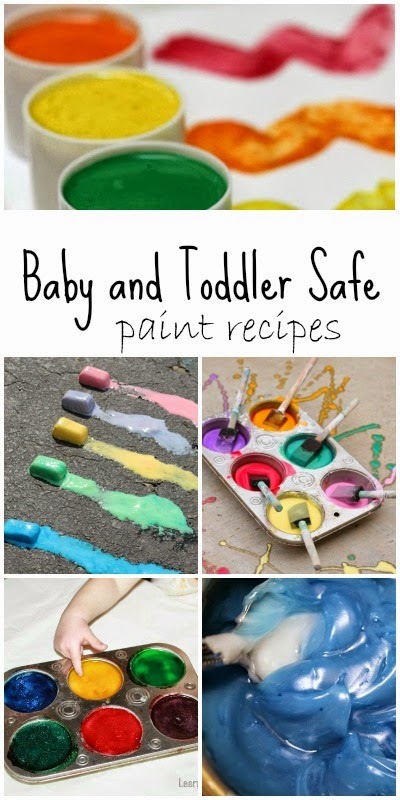 For more baby and toddler safe homemade paint recipes follow me on Pinterest. 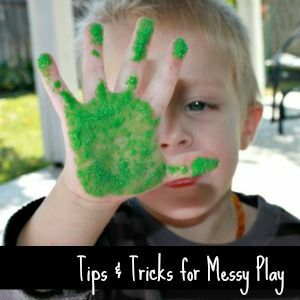 If the messy aspect of painting with babies and toddlers concerns you, here are some Tips and Tricks for Messy Play. 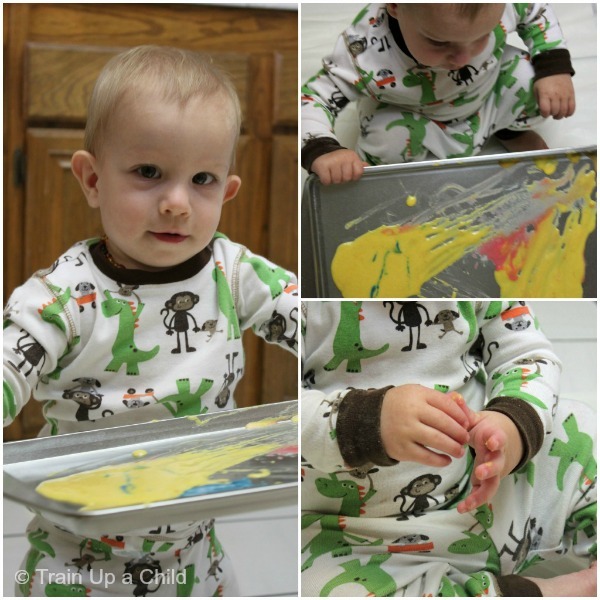 I also have a post with Laundry Tips to help avoid clothing stains from art and messy play. Thanks for including our cornflour paint!A wonderful collection of paint ideas to try here!! What a resourceful and kid friendly way to introduce painting, especially the homemade watercolors! 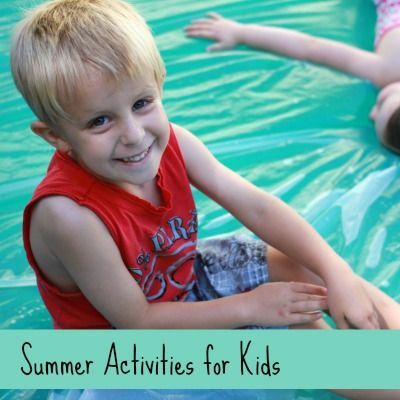 Pinned this to look at again later, but great ideas! Thanks for sharing at TGIF! Feel free to grab a button if you like. Thanks for linking up and sharing your creativity! I hope to see you linked up again SOON! I want to make cards for my mother, and mother-in-law this year for Mother's Day. Which recipe would you suggest for a homemade card, or mini poster. I want to put her hand prints on them, but I'm concerned about food based paints spoiling. Thanks so much for including our homemade watercolours! Great round up here! Hi Katrina, it can vary quite a bit depending on which paint recipe you choose. 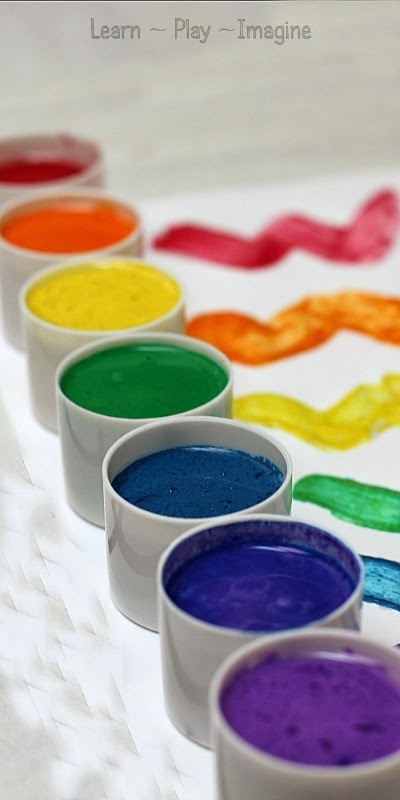 The edible finger paint, the flour paint, the edible milk paint, and the cornflour paints will all last for a few days or more when stored in an airtight container in the refrigerator. The puffy paint and the homemade watercolors will last much longer. I hope that helps! Hi, Would you know the best child safe paints for applying to bare wood toys? Thanks! Hi! Do any of these paints last well on fabrics? Painting an apron for daddy :) Thanks! !